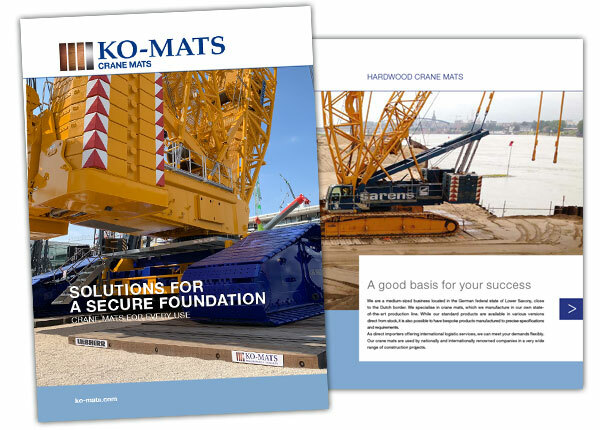 Ko-Mats is a medium-sized company specializing in hardwood crane mats. We produce the mattresses in our ultra-modern production plant and deliver them worldwide for purchase and for rent. Everything at a glance! You can download and print our brochure here. 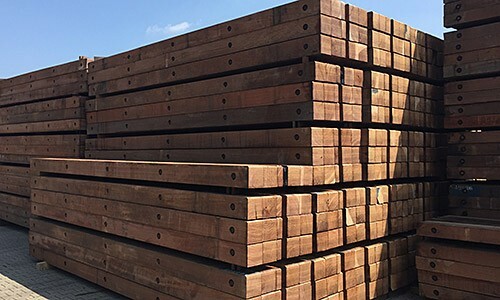 Our products In addition to our quality hardwood crane mats, shoring mats and jacking timber are available for our customers. All our products are available in various styles so as to meet your needs. 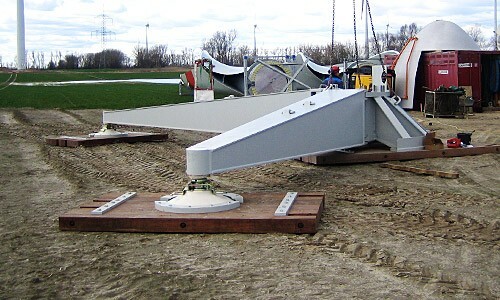 In addition we can, upon request, custom manufacture products to fit specific and unique requirements. For our customers we provide flexibility in the way you purchase our products. Purchasing outright or simply renting we can help you find the right package to suit your needs as well as worldwide delivery. Are you looking for high-quality crane mats? We deliver directly from stock in the most common dimensions, for purchase or rent. As a producer with international logistics, we can answer your inquiries flexibly. Do you need a solution to distribute accumulated point loads? Your project will be stable and safe with our high quality hardwood support mats! In addition to crane mats Ko-Mats also supplies Ekki jacking timbers for building foundations and lifting structural constructions. 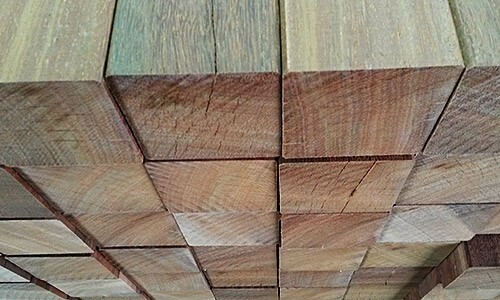 Our jacking timber is used successfully worldwide.